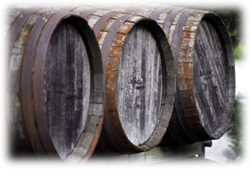 It can be hard to clean barrels that are used in the wine making industry. Often times the grapes stain the inside of the barrels during the fermenting process. Power washer cleaning heads are the quick and easy solution to barrel cleaning, cleaning tanks and other types of containers. It is designed to each customer’s unique specifications and are built to your standards, so you’ll have to answer a few questions first. When ordering a pressure washer cleaning head product for barrel cleaning, it is important to know how large the tank is as well as exactly what will be being cleaned out of the tank. For example, if the substance in the tank or barrel is wine you must inform the customer representative. This way you get the perfect cleaner head to handle your barrel cleaning needs. Next you have to know what kind of pressure washer you will be using with. Understanding how many gallons your power washer uses each minute, what its PSI is, and the horse power of the unit is an essential consideration. It is also important when having power washer cleaning heads customized for barrel cleaning to know the size of the accessible area – essentially, the diameter of the whole. The cleaning heads are made out of stainless steel. The washing heads are not made without any kinds of greases or lubricant oils, and they do come in self-spinning models for your convenience. This attachment uses an Aqua Motor that has spinning speeds that depend on the water flow. The stainless steel cleaning heads are recommended for use on products such as large containers with small holes, products used by beverage makers, storage tanks that hold chemicals, containers used for food processing, pharmaceutical containers as well as tankers transported over the road or over the rails. There are many different models of this equipment that can be purchased. Plus each of this is customized to meet your specifications. This is the easiest way to clean “hard to clean” containers such as barrels that are used in the wine industry. There are so many things that seem to be impossible to clean. Think of all of the money that is wasted on purchasing new inventory because the old inventory could not be cleaned. Perhaps you only lacked the proper washing equipment. A power washer cleaning head can clean many things that seem difficult or even impossible. Stop struggling when cleaning and spending money on cleaning products that do not work. Purchase cleaning heads and notice a difference right away. Solve all of you cleaning problems by investing on a cleaning system that is guaranteed to work.